The Moon in May is Buddha’s Day. Growing up in a traditional Chinese household, we had many cultural celebrations and paid respect to ancestors by lighting lanterns and candles, offerings flowers, incense and fruit throughout the year. In the Buddhist tradition, one of the most auspicious and significant celebrations happens every May on the night of the full moon, with people all over the world celebrating the birth, enlightenment and death of the Buddha. It is known as Buddha Day or Buddhas Birthday. I’ve always thought Buddhists are quite efficient in the way we celebrate Buddha’s Birthday. We only have to remember one day a year and it encompasses the triple gem of the Buddhas journey, encompassing the birth, enlightenment-Nirvana and ascent-Parinirvana of Gautama Buddha. Buddha Day celebrates Siddhartha Gautama sitting under the bodhi tree in Bodh Gaya, India and attaining enlightenment over 2,500 years ago. After 49 days of sitting, Gautama awoke and saw the world and began sharing with others. He became Buddha, the awakened one. The birthday of Buddha is celebrated on different dates by various schools of Buddhism. In most of Asia it is the first full moon date of fourth month in the Chinese lunar calendar – typically full moon in May. It can fall a month earlier or later, dependent on country or school of Buddhism. Our formula for determining that date is as fluid as other things in Asia, so it can get very confusing. I just dedicate my practice the whole moon cycle! Calculate the first full moon day of sixth month of the Buddhist lunar calendar, which is fourth month of the Chinese Lunar calendar, except leap years, when it falls in the seventh month. Some years it starts a week earlier, and this year Myanmar and Cambodia celebrated on April 28, 2010. Korea has a week-long observance a week earlier. For Tibetans it can fall a month later, and in Japan, Buddha’s Birthday is Hana Matsuri, or “Flower Festival” and always on April 8. All our actions, our karma and merit obtained for good deed or practices is multiplied one million times every day. Intention is very important, and this is a “multiplication day” so actions are multiplied 10 million times this day! It may be a good time to take time to meditate or practice stillness. Lotus Lantern Lighting is a tradition which symbolises renewed commitment to help ourselves and others, to gain spiritual strength, and for peace and happiness of all beings past, present and future. A dedication is written on a piece of paper which is attached to a lantern or candle. Dedicate the light to loved ones, partner, family, yourself, or to deceased, ill or those suffering. Dedicate light and ease to those who live in hatred or to helping all needy and poor. Express gratitude, goodwill, prayers and good wishes of love and care to all. Reconcile, forgive or send hope with words of kindness and compassion. Remember those who have helped and inspired you on your journey and send them thanks and love. Open your heart wide and celebrate living. Make a dedication prayer and offer “My mind is Buddha”. Work toward the benefit of all. Maintain a pure outlook on all things. Thank you Cora from the bottom of my heart!! 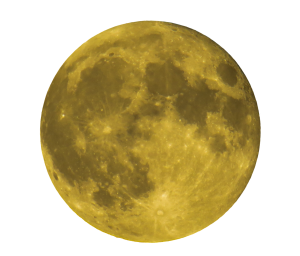 ..Awesome pictures showing the magnificent full moon, and your helpfull article with lots of information!! Namaste!! I love these tidbits! Is there somewhere there is a calendar that adds all the Hindi and Buddhist celebrations?